The top-bar hive is so named because the frames of the hive have only a top bar, not sides or a bottom bar. The beekeeper does not provide a foundation (or provides only a fractional foundation) for the bees to build from. The hive body is often shaped as an inverted trapezoid in order to reduce the tendency of bees to attach the comb to the hive-body walls. Unlike the Langstroth design, a top-bar hive is generally expanded horizontally, not vertically. The top-bar design is a single, much longer box, with all the frames hanging in parallel. 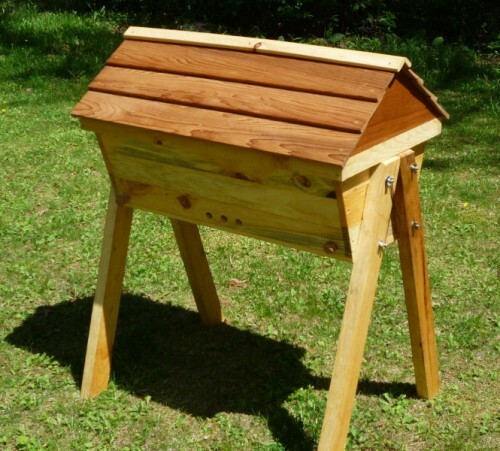 Unlike the Langstroth hive, the honey cannot be extracted by centrifuging because a top-bar frame does not have reinforced foundation or a full frame. 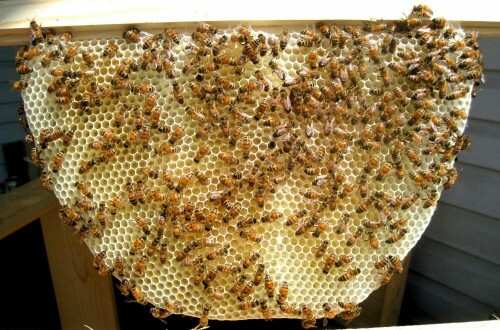 Because the bees have to rebuild the comb after each harvest, a top-bar hive yields more beeswax but less honey. However, like the Langstroth hive, the bees can be induced to store the honey separately from the areas where they are raising the brood. Therefore, bees are less likely to be killed when harvesting from a top-bar hive than when harvesting from a skep or other traditional hive design.